Your bio is key to your Instagram success. It is essential that you complete it and keep it up-to-date. This area helps new Instagram followers to know who you are and what you do. Add a branded hashtag, a call to action and website links. Visuals are the key to success on Instagram. Sharing interesting, engaging and colourful videos and photos are important. 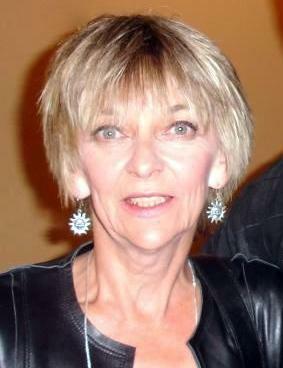 Filter effects are an option, but be careful that you don’t overuse them. Followers like candid photos and respond well to those that show what you and your staff are doing. People don’t want to see advertising like photos or products sales posts. If you need a photo editing platform to assist you with your images, then be sure to check out Canva. 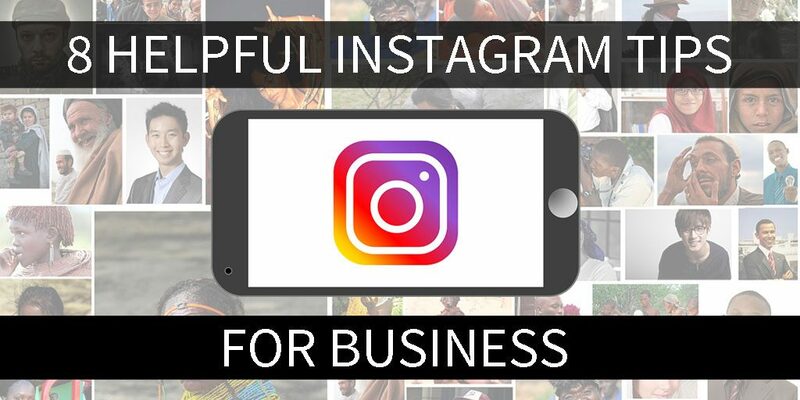 It is easy to use and has several features that will assist you with your Instagram images. Post regularly to keep your followers interested. Times to post vary and the best way to determine what works best for you is to regularly evaluate your Instagram insights and make changes as necessary. 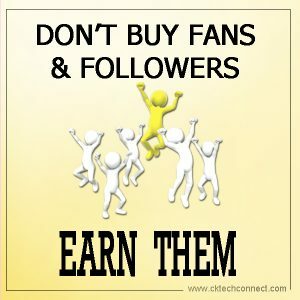 If you buy followers you only buy numbers of fans and not necessarily people who will like or comment on your posts. Buying followers is a bad choice on any social platform and so too Instagram. While it may take some time to build your numbers it is always in the best interest of your long term marketing plan to earn followers and not purchase them. Paying any money to gain account likes is a short-term fix that will not help you with your long term goals. Get more visibility on your posts with the use of hashtags. The best way to add hashtags is in the comment section of your post and not right on your post. Choose hashtags that are relevant to the post, your industry and location. Hashtags ensure that your post gets into a specific stream or category. The proper use of hashtags will get your posts noticed more by those interested in your business or topic. The recommendations for the amount of hashtags you should use varies. Instagram allows as many as thirty hashtags on a post. If you go over the thirty, your post will not go. We recommend trying that between seven and twenty hashtags and evaluating which ones work the best for you. Check out the hashtags that others in your industry or location use. You can save these hashtags and then easily paste them into your posts. Hootsuite has an excellent resource that will answer all your hashtag questions. 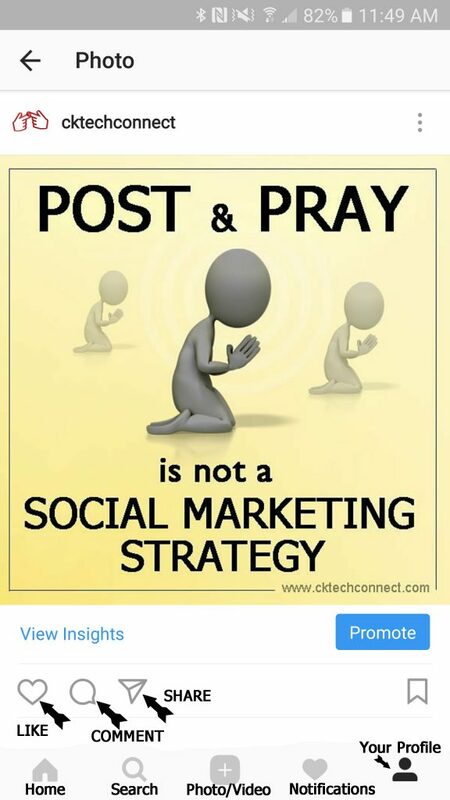 Instagram is a very social platform and to be successful you must do more than post and pray. Engaging with others on this social platform is essential for marketing success. Remember, that you must give attention to others to get attention on your content posts. Your followers like to see the people behind the brand, like having a backstage pass where they can get to know the characters. “Like” a post on Instagram by tapping the photo or video twice or by simply touching the heart icon below the photo. “Mention” another Instagram user by adding the “@” sign in front of their username. “Comment” on a post by tapping on the bubble icon located next to the heart and type your text. “Send a post” by touching the arrow icon and mentioning the user or users that you wish to receive it. “Tag” others in your post by tapping on your photo or video and entering their user name. Instagram accounts that are engaging attract more followers. These followers can become a part of your greater online network. If you do not include engagement as part of your strategy you are not likely to have the business marketing success you had hoped for. It’s important on Instagram to have your photos stand out. Several third-party applications have been developed to help you easily edit your images. Have a look at these recommendations and see if any will work for you. Invite your Instagram connections to join you on all of your other social sites. Carrying your network to other platforms helps to build a strong engaging community that will further build your online presence and increase brand awareness. Instagram has officially hit 400 million daily active users and 600 million monthly users. This social platform isn’t showing any signs of slowing down, in fact new functions and features are being added on a regular basis. 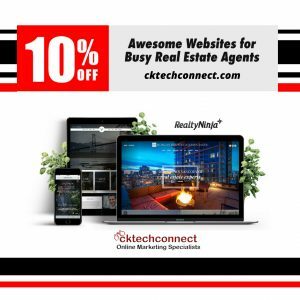 These updates and updates and new features are useful options for businesses to grow their online marketing and brand awareness. Are you ready to add Instagram to your social media marketing strategy? If the answer is “Yes”, we hope that you look us up @cktechconnect. What a helpful article! I’ll be using these tips to help my social media clients. Thanks so much!